The last piece of the World Trade Center ramp has been removed. The ramp that for years led dignitaries and Sept. 11 families into ground zero isn't there anymore. The Port Authority of New York and New Jersey removed the last piece of the 460-foot pathway Wednesday morning from the World Trade Center site. The pathway was built in the months after the 2001 terrorist attack to bring construction trucks and people from street level to the base of the destroyed towers 80 feet below. The ramp needed to be removed to make way for construction of the steel foundation of the Sept. 11 memorial. 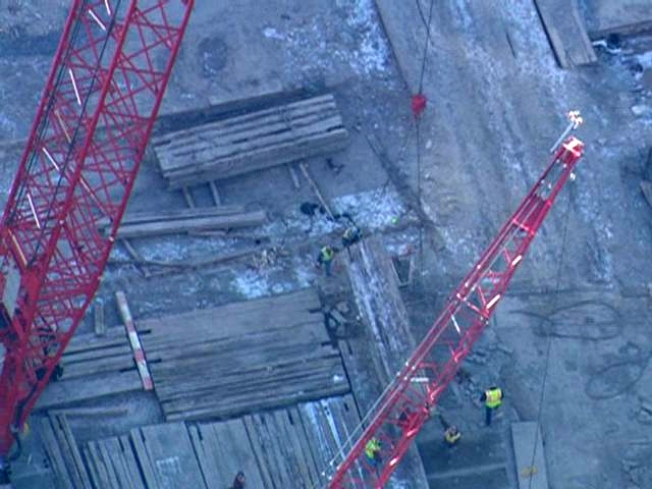 Construction materials will now be lowered from street level down to the site by construction workers or cranes.